A keto cauliflower puree that’s better than mashed potatoes?! A bold claim! But I stand behind it! And believe me, nobody is more surprised than I am! This is not normal for me and I credit the high satiety factor of the Keto cheesy cauliflower puree. Had I eaten mashed potatoes in the same way I would have been starving a few hours later for sure! Maybe there really is something to this whole low carb, high fat thing – it’s an interesting experiment at the very least. An added bonus? The scale showed a 2.5lb drop from yesterday. But even if you aren’t trying to watch your carb intake, you want to make this dish–it will change your mind about Keto cauliflower puree forever! I bought two heads of cauliflower yesterday and I’m so glad I did because I’ll be eating this for lunch again today! It’s only 9am and I already can’t wait! Yum! Update – Here’s a 60 second recipe video that shows the process and how easy it really is! Place in a microwave safe bowl with 2 Tbsp of cream and 1 Tbsp of butter. Microwave, uncovered, on high for six minutes. Stir to coat cauliflower with cream/butter mixture. Microwave for another six minutes on high. Remove from the microwave and put into a high speed blender or food processor along with the cheese. Puree until smooth. Season with salt and pepper to taste. You can adjust the cream and butter to your preference. 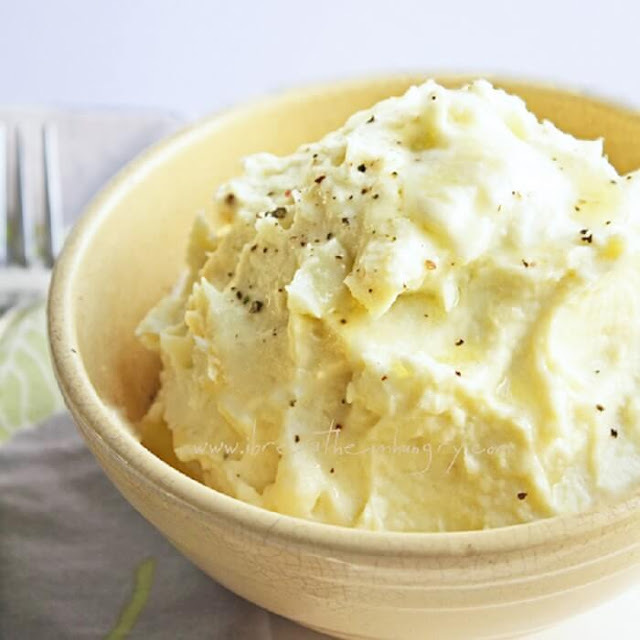 0 Response to "“Better than Potatoes” Cheesy Cauliflower Puree – Low Carb"